This year, ditch the typical goose and figgy pudding for a decadent adventure to Marrakech complete with special offers and exciting holiday menus at Royal Mansour. Chef Yannick Alléno, the three-time Michelin-starred chef of Royal Mansour’s La Grande Table Marocaine and La Grande Table Française, is thinking outside the Christmas roast with fresh, indulgent dishes such as spider crab-caviar tarts cloaked in lemon cream, purple artichokes filled with truffled duck kefta, and palate-cleansing citrus gelée topped with ginger sorbet. Book two adults and one child under 12 in a one-bedroom riad, and receive an upgrade to a one-bedroom superior riad. Book two adults and one 12 to 18-year-old child in a one-bedroom superior riad, and receive an upgrade to a two-bedroom riad. Book two adults and two children under 18 in two one-bedroom riads, and receive an upgrade to two two-bedroom riads. Book a one-bedroom riad or one-bedroom superior riad for three nights, and enjoy the fourth night complimentary. Book a two- or three-bedroom riad for two nights, and enjoy the third night complimentary. Royal Mansour opened in 2010 within the medina walls of the Old City. 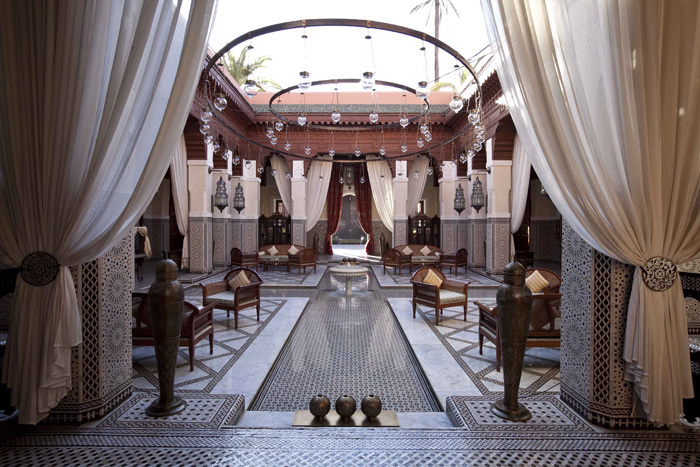 The expansive property covers eight acres and comprises 53 individual riads, a 27,000-square-foot spa, and two restaurants. Extravagantly luxe, each riad (ranging in size from 1,400 to 21,525 square feet) showcases Moroccan splendor: hand-done tile work and mosaics covering courtyard floors and riad walls with interiors showcasing handcrafted wood and antique furniture. Riad rates start at 1650€ (approximately $2,150 per night). For more information or to book, visit www.royalmansour.com or call +212 529 80 80 80. When the Who’s Who on St. Barth wants the latest dish on where to go and what to see – Ashley Lacour is the man with the answers. And, when first-time visitors need advice on how to navigate the island, Ashley is the man they trust. 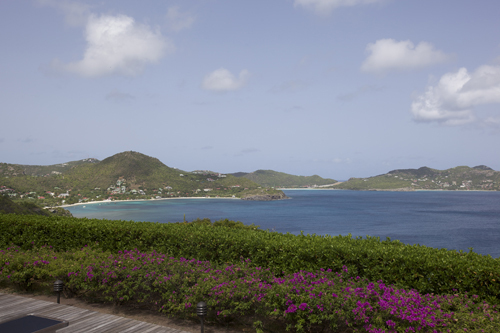 He is part of the long tradition of in-the-know hospitality that is Sibarth, a luxury villa rental agency on St. Barth. A St. Barth native and the son of founders Brook and Roger Lacour, Ashley has been named Managing Director of Sibarth. 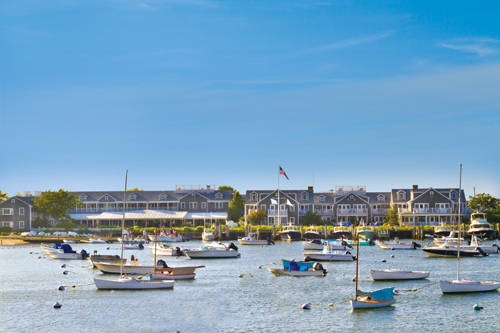 In his new post, Ashley will oversee all Sibarth operations, including launching a new loyalty program for its clientele as well as creating a comprehensive island guide available to Sibarth guests that explores celebrated landmarks and uncovers every hidden gem. These services are in addition to the already expansive customer-focused offerings, including: an experienced, resident concierge team; the only on-site, full-time airport kiosk and arrivals specialists; and 24-hour response team. Ashley brings insider knowledge of St. Barth that can only come from those who call the island home, not a business venture. “When our family business was established in 1975, my parents believed that villa rentals were the best way to preserve the charm and intimacy of the island, giving guests a genuine St. Barth experience and discouraging the development of large, impersonal hotels. I am proud to be a part of something so influential and so special in preserving this culture,” says Lacour. While imitators have attempted to capitalize on the Lacour legacy and success, Sibarth continues as the heirloom brand. With Ashley Lacour now at the helm and a team of more than two dozen employees who live on the island and know it as their home, Sibarth ensures exceptional service and a personal touch. “The mission of Sibarth has always been to offer our guests experience the real, authentic St. Barth. I am steadfast in my commitment to uphold our high standards of hospitality and continually exceed the expectations of our clientele,” says Ashley. Favorite Sports: As a young child, Ashley learned to windsurf on the turquoise waters of St. Barth and remains passionate about the sport. Favorite Hiking Trail: A very secluded trail to St. Barth’s natural pools accessibly lies at the west end of the beach at Grand Fond. Favorite Job: Ashley was once the St. Barth island postman. Favorite Practice: Having studied Holistic Healing, Ashley manages Sibarth from a place of balance and harmony. Favorite Croissant: Locals are loyal to Petite Colombe in Lorient; best to arrive in the early morning. Ashley continues to live on St. Barth with his partner in life and business, Kristina Popova, Sibarth Marketing Director. The Sibarth brand stands behind the quality of more than 150 exquisite St. Barth villas – ranging from charming one-bedroom hideaways to luxurious eight-bedroom estates. Villas are available island-wide, from the mountain tops of Lurin and Vitet to the streets above Gustavia to the beaches of St. Jean and Flamands. Park Hyatt Chennai, Park Hyatt’s third hotel in India and the first Park Hyatt hotel in the “Gateway to southern India,” opened today. Located next to the prestigious Governor’s Residence and adjacent to the thriving green area of the Guindy National Park, the hotel is but a 15-minute drive from the city’s domestic and international airport. It features 201 luxury rooms and suites, two restaurants, the Antahpura Spa, a fully-equipped fitness center, and The Apartment – the hotel’s state-of-the-art meeting facility. The hotel offers an array of epicurean tastes and experiences with its two restaurants, The Dining Room, overlooking the beautiful lily pond, and The Flying Elephant, opening in early 2013. At the Dining Room, guests can enjoy convenient, all-day dining featuring traditional South Indian cuisine and European bistro favorites. The Flying Elephant will be the hotel’s speciality restaurant offering diners a selection of exotic cuisines in an awe-inspiring ambience. Designed as a contemporary oasis of wellness and rejuvenation, each of the six treatment rooms overlooking the tranquil greenery of the Guindy at the Antahpura Spa offers a blissful refuge from the strains of modern life. Indulge in a treatment inspired by the legendary therapies from the illustrious lineage of Chettinad or a holistic spa experience, which have been recreated by indigenous herbs and primordial beauty and wellness practices. The hotel’s fully equipped fitness center, Sphere, features hot and cold plunge pools, steam and sauna facilities, a yoga studio, and separate cardio and strength training areas. The hotel also showcases beautiful, custom-made art installations that have been curated around the concept of Indian textiles and heritage. The impressive series of installations have been set up to lend a distinct character to the spaces and to enhance and create an unparalleled guest experience that is synonymous with the Park Hyatt brand. Park Hyatt Chennai embraces the serenity of the surrounding Guindy National Park with flowing landscapes and relaxing interiors, complemented by a graceful lily pond dotting the heart of the inner courtyard. The elegant and chic interiors create a unique and calming ambience, reflecting the quiet and refined side of Chennai. 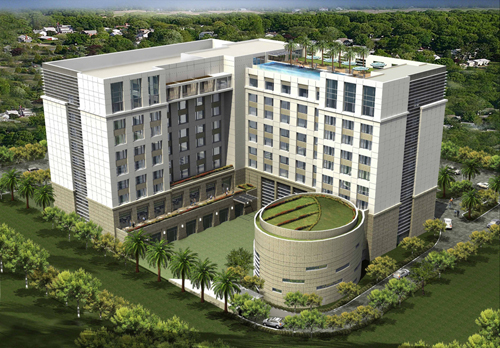 With the new developments of Old Mahabalipuram Road (OMR), Sri Perumbudur, and the Guindy Industrial Estate all in close proximity, the hotel provides a serene and tranquil retreat for the astute business traveler in the bustling city of Chennai. To learn more about Park Hyatt Chennai and the inspiration behind the hotel’s design, please visit http://bit.ly/OnLX4R. Park Hyatt provides discerning, affluent business and leisure guests with elegant and luxurious accommodations. Guests of Park Hyatt receive highly attentive personal service in an intimate environment. Located in several of the world’s premier destinations, each Park Hyatt is custom designed to combine sophistication with a distinctive regional character. Park Hyatt features well-appointed guestrooms, meeting and special event spaces for groups, critically acclaimed art, food and beverage programmes, and signature restaurants featuring award-winning chefs. There are currently 30 Park Hyatt hotels in the following locations: Abu Dhabi, Baku, Beaver Creek, Beijing, Buenos Aires, Canberra, Carlsbad, Chennai, Chicago, Dubai, Goa, Hamburg, Hyderabad, Istanbul, Jeddah, Maldives, Melbourne, Mendoza, Milan, Moscow, Ningbo, Paris, Saigon, Seoul, Shanghai, Sydney, Tokyo, Toronto, Washington D.C., and Zurich. parkhyatt.com. 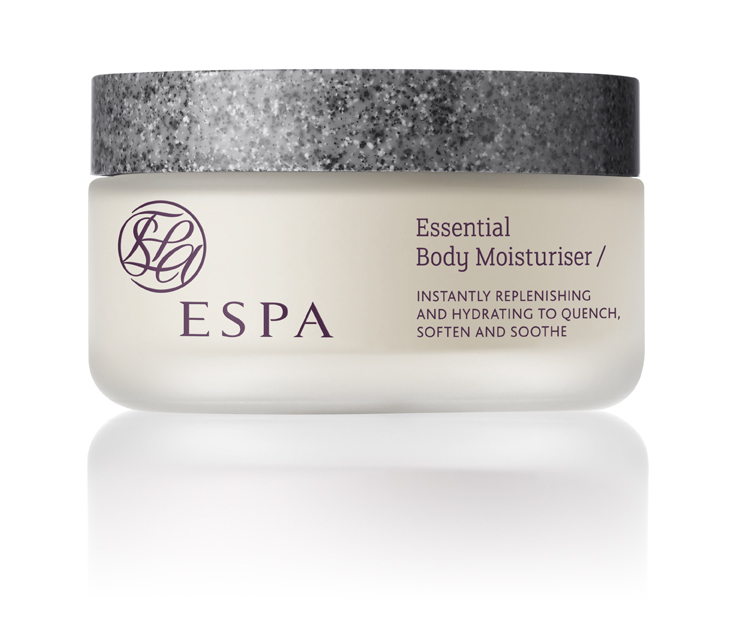 New ESPA skincare products are launching monthly following the brand’s reformulation, and October will see the release of their fabulous Essential Body Moisturizer. After working closely with a team of scientists, the ESPA range is now 99% natural and is free from synthetic color and fragrance, parabens, phthalates, DEA, TEA, mineral oil, SLS and SLES, silicone, propylene glycol, and petrolatum. The perfect antidote to dryness and dehydration, this refreshing balm instantly treats and relieves parched skin. Ingredients such as moisturizing Macadamia and Bergamot hydrate and revitalize, while the purest high-altitude Lavender and Rose Geranium add a refreshing aroma, together helping to calm and soothe for soft, silken skin. 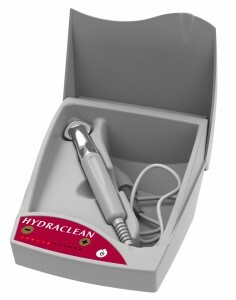 To use: Massage into the skin with light upward circular movements until fully absorbed. For best results, apply in the morning and evening after showering or bathing.